Canine Dental hygiene is key part of maintaining your dog’s overall health and wellbeing. Dental hygiene goes beyond ensuring that your dog has fresh smelling breath. Proper oral care for your pet helps to prevent bad breath and gum disease which can be costly and contribute to declining health. According to the American Veterinary Dental Society, more than 80 percent of dogs develop gum disease by the age of three years. But where do you start? With an overabundance of pet products on the market including dog toothbrushes and toothpaste to treats marketed for dental health, the options can be overwhelming and expensive. 1. Prevention is easier and less expensive than treatment. Some of the best advice that I received from my vet was that “Some canine dental issues are treatable, but almost all are preventable”. He stressed the importance to me of taking a proactive approach to dental care in the same way that vaccinations and flea/worming treatments are for prevention. If you have a new puppy, start early. An existing dog, start now. Don’t wait until there is a problem to start working on a solution. It’s no surprise that what goes into your dog’s mouth will affect their teeth. But just how important is what they eat to the health of their teeth? Most veterinarians will tell you that diet is a major factor in preventing the build-up of plaque and calculus on your dog’s teeth. Soft and sticky foods should be avoided. There are some dog foods that are specifically formulated for oral health but at a minimum you should ensure that your dog is eating crunchy, dry food and rawhide or fresh bones with meat or cartilage. Treats that are marketed as assisting with oral health should be carefully assessed. If your dg eats them too quickly, they are probably not doing much to clean the teeth. Too many of these treats can add unnecessary calories to your dog’s diet. Pet toys that are designed to encourage chewing assist with the prevention of plaque build-up and are an important part of an overall dental hygiene program. Ensure that the toy is not too hard as this can actually lead to tooth fractures. 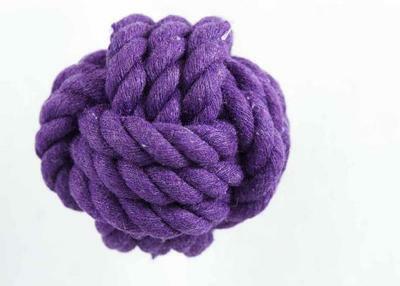 Rope based toys, Kong® style toys and other durable chew toys can help to clean the teeth. Yes, you should be brushing your dog’s teeth. If you start as a puppy it will be easier for both you and your pet. But it’s never too late to teach and old dog (or owner) new tricks. Work your way up to a brushing program by starting to inspect your pet’s teeth and gums when they are relaxed. I like to do this after some rigorous exercise when I know my dog is happy to lie down and have a rest next to me. 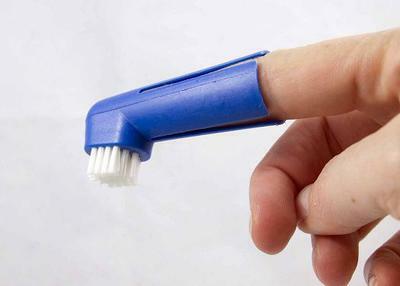 Gently massage the gums with your finger and gradually work your way up to using a pet toothbrush and toothpaste. Never use human brushes or paste as these can damage your pets teeth, gums and upset their stomach. 5. Regular Check-ups are required. If you are brushing your pets teeth then you are inspecting them yourself on a regular basis. You will be able to see if there is any gum soreness or changes to the gums or teeth. But ensure that your vet also conducts an oral health check as part of your regular wellness visits. Your vet will be able to help in spotting any potential problems and advise if there are any adjustments to your home treatment plans. If you have any questions about your pet’s oral health or need some training tips on how to get your pet to have a healthy smile, speak with your veterinarian. Many Veterinarian Associations sponsor a dental health month so this is a good time to book in a consultation. August is the Australian Veterinary Association’s Pet Dental Health Month. Pet Dental Health Month is the annual celebration of healthy smiles and the well- being of our pets.